There are about 120,000 people living in Aruba. 80% of Arubans are of mixed ancestry; a blending of Arawak Indian and European (mainly Dutch and Spanish) roots. The other 20% are a mix of immigrants from South America, China, the Philippines and Africa. Quite a few people from Venezuela have second homes on the island. More than an estimated 79 different nationalities live on Aruba, and it is this blending of cultures that gives Aruba its unique character, seen in its food, music, and celebrations. 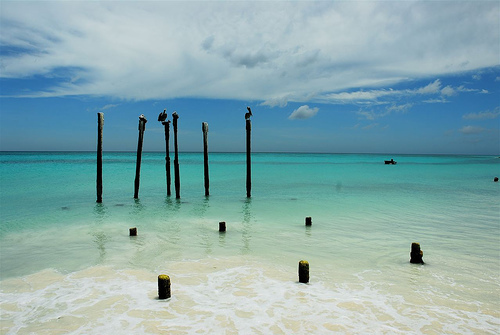 When people dream of getting away from it all and escaping to a place of endless peace and beauty, they think of Aruba. Surrounded by blue green water and sandy white beaches, Aruba is the vacation destination for people looking for a little slice of heaven on earth. Together with Curacao and Bonaire, Aruba makes up the Netherlands Leeward Islands in the Caribbean Sea called the ABC islands. First inhabited by a peace loving tribe, the warm spirit of caring and friendliness that the people of Aruba shows towards others is what draws visitors to the island again and again. But lazing around its long stretches of beautiful beaches isn't the only thing the island is good for. With tons of restaurants, casinos, water activities, museums and spas, Aruba offers visitors innumerable opportunities to explore the island, learn new things and party until the wee hours of the morning. Aruba is mostly flat land without rivers, with white, sandy beaches along its western and southern coasts that are relatively protected from the sea. However, the northern and eastern coasts are hammered by the sea and thus were largely left untouched by the inhabitants. The island has a few rolling hills, the highest being Mount Jamanota at 617 feet above sea level. Although Aruba is a tropical island, its climate is dry and the average temperature is 82 degrees Fahrenheit. The rainy season, from October to January, is mild and only produces about 18 inches of rain a year. The island does lie south of the hurricane path, which results in the occasional tropical storm, but not very many. 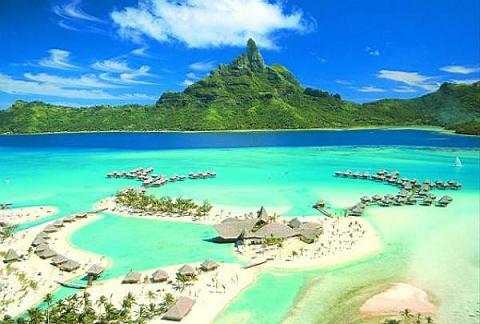 Generally, the climate is good weather for the perfect vacation. The Caquetio Indians of the Arawak tribe were the first people to inhabit Aruba. It is believed they moved there to get away from the Carib Indians who were making life miserable for them. They were a fisher/hunter/gatherer society from 2500 BC to 1000 AD. By 1000-1515 AD they had evolved into farmers and were growing corn and yucca. In 1499 Spanish explorer, Alonso de Ojeda arrived and Spain promptly claimed the island. Because of the limited rainfall, the Arawak Indians were spared from plantation slavery but much of the indigenous population was taken to Hispaniola to work in the mines. By 1642, the Dutch took control of the island from Spain and allowed the Indians to live freely. Save for a brief eleven-year period, from 1805-1816 when Aruba was under British rule, Aruba has been under continuous Dutch rule. On January 1, 1986, Aruba became an officially recognized country of the Netherlands. Although mainly a place to rest and relax away the stress of everyday life, Aruba has a multitude of things that active visitors can see and do. 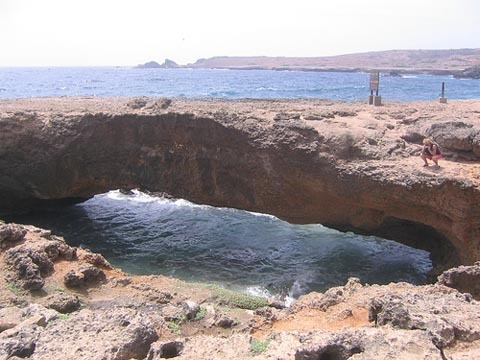 Arikok National Park, for instance, gives visitors a chance to learn about three geological formations that played an important part in the development of Aruba, and to see an array of fascinating flora and fauna. Visitors can also learn about Aruban culture and history at the Historical Museum, where the story of the oil refinery on the island is told, to the Archaeological Museum with its exhibits of ancient artifacts that tell the story of historic and prehistoric life. Carnival Season, which is held in the capitol Oranjestad, is a multi-week celebration that lasts from January 1 to Ash Wednesday. The entire island participates in Mardi Gras like activities with elaborate parades, competitions, and street parties. As a vacation hotspot, Aruba has an active nightlife scene. They have such an assortment of bars, clubs, casinos and theatres that you are sure to find something to keep you busy each night you are there. See the latest movies at either their indoor movie theater or go retro and visit one of the few remaining outdoor theaters. If you loved the television show, then you are going to love The Sopranos Piano bar which hosts internationally famous piano entertainers who take requests. From Sinatra to Elton John, you can while the night away dancing to your favorite tunes or discovering new ones. Try your luck at the Alhambra or Stellaris Casino. With over 300 slot machines and table games, you can spend the night with Lady Luck and try to hit the jackpot that will let you retire to Aruba for the rest of your days. Even though the official language of Aruba is Dutch, the dominant language spoken is Papiamento. The result of the mixing of cultures, Papiamento has evolved over the years and absorbed many words from Dutch, English, Spanish, Portuguese, French, and several African dialects. Because of the level of tourism on the island, English, Spanish, Portuguese, German, and French, are widely spoken. The dominant religion is Roman Catholic, however other Christian faiths are practiced including Protestant, Judaism, Latter Day Saints, Evangelical, Jehovah Witness, Methodist, Seventh Day and Baha'i Faith. 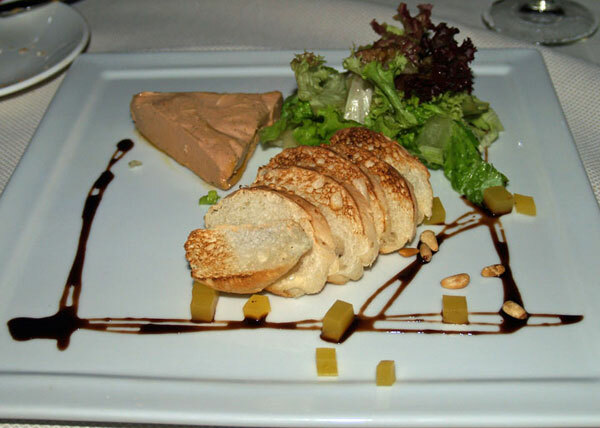 Local food in Aruba is a product of its diverse heritage. Heavily influenced by the Dutch, the meals have recently started to include a Caribbean flavor with the addition of ingredients such as pineapple and seafood. A lot of the dishes can be found on the menus of restaurants on the island, however, the islanders' favorite place to eat is outdoors and quite a few traditional meals are sold on pushcarts operated by street vendors. A favorite snack is the Friet. Similar to French fries, this snack is served in a paper cone and can be enjoyed with a variety of toppings including ketchup, curry, peanut or hot sauce. Another Aruban favorite is the Tosti, a grilled sandwich with a Caribbean flair that is made with cheese, ham, pepperoni and pineapple. For desert, try a Raspao; shaved ice topped with island flavors such as guava, tamarind and passion fruit.